50mm bll and ring Towing Hitch with 'A' frame attachment to convert most small Compact Tractors. 3 point linkage also to allow for pulling loads of up to 1.5 tonne. Manufactured in the UK using high quality materials. 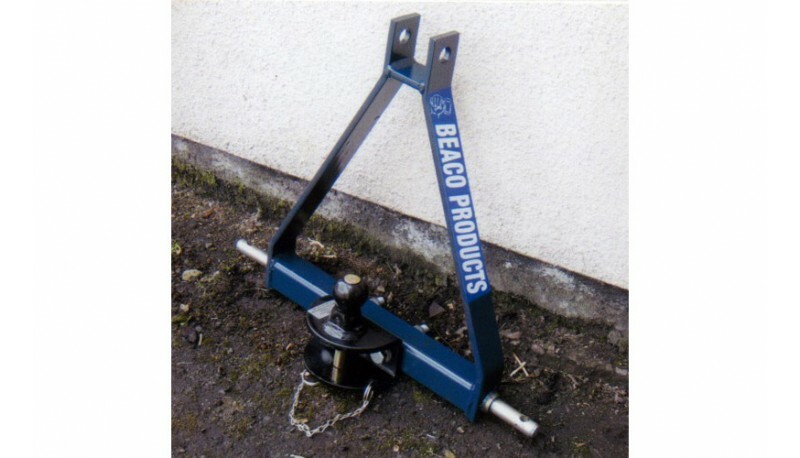 This Towing Hitch also let's you pick up the trailer whilst still seated and has an improved turning circle by extending the trailer from the tractor.